The CoffeeShop Blog: CoffeeShop Damask Rose Web Storyboard Set #33! CoffeeShop Damask Rose Web Storyboard Set #33! 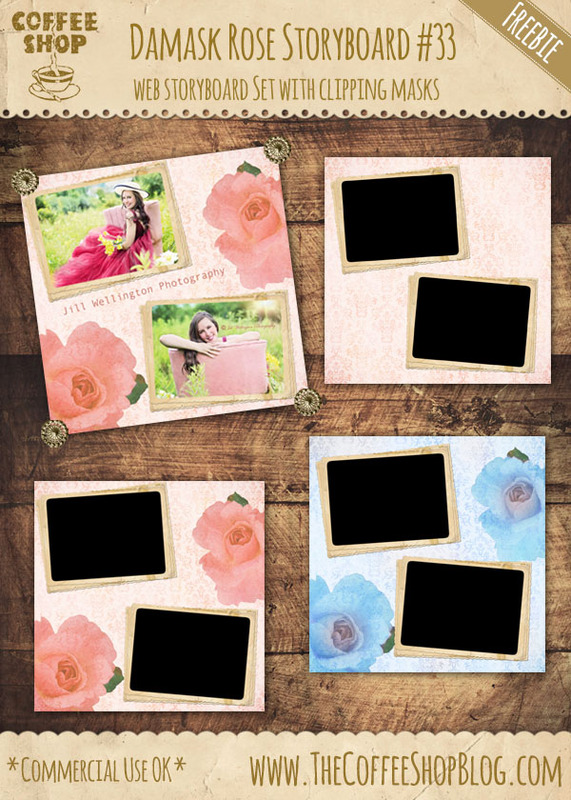 I love designing pretty things and I had so much fun putting together this vintage damask rose storyboard set. It has three 1000x1000px storyboards with clipping masks. 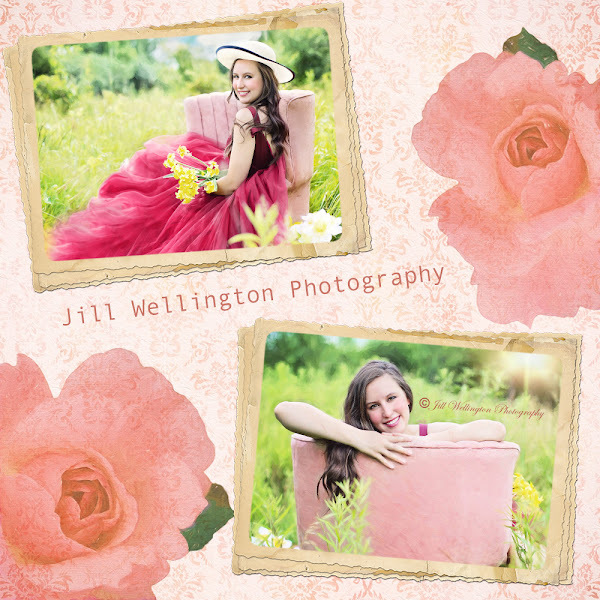 I used some beautiful images from Jill Wellington (Etsy Shop, Facebook, Blog, YouTube Videos, Pixabay) on this example. That gorgeous model is Jill's daughter. It is so easy to change the color of these storyboards. In this example I added a Hue/Saturation layer above the Roses and Damask layer. I kept it on Master and put the Hue at -180. This turned everything blue, so I used the layer mask to paint the blue off the leaves and the center of the flowers. I think this one is also gorgeous! 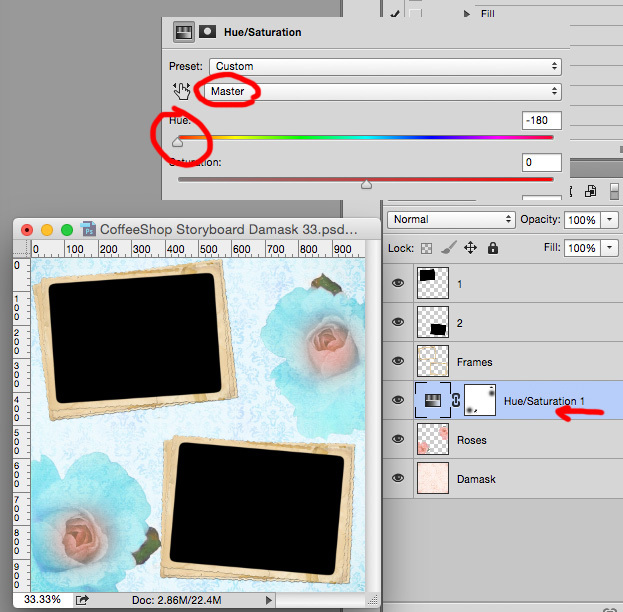 You can also turn off the Roses layer or add your own digital paper in place of the Damask paper. Download the CoffeeShop Damask Rose Web Storyboard Set.